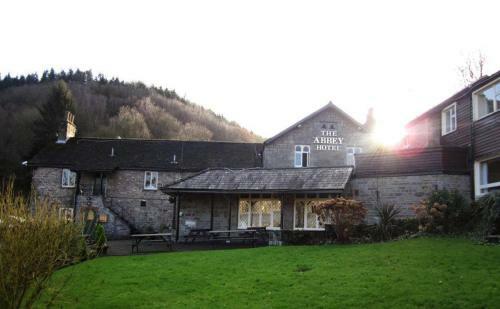 Situated in the Wye Valley, Abbey Hotel dates back to 1206. It offers free Wi-Fi and Sky TV in a picturesque location overlooking the ruins of Tintern Abbey. The rooms at Abbey Hotel are comfortable and airy, with carpeted floors and central heating. They each have private bathrooms, LCD TVs and tea and coffee-making facilities. A full English breakfast is served in the morning, and a breakfast buffet is also available. Guests can also relax in the peaceful garden area. Home-cooked food is available in the large restaurant and bar. Located alongside the A466, Abbey Hotel is 36 miles from Cardiff. Newport and Bristol can both be reached in 35 minutes’ drive, and Cheptow Racecourse is a 5-minute car journey away.